Google is a force within the online world that is not to be questioned. When it comes to this company’s reach and influence, there can be no debate. That’s why it’s essential that you work with Google, to take advantage of the tools and tips that they offer so that you can enhance your marketing strategy as effectively as possible. “Each day, 3.5 billion searches are performed on Google. That’s more than 1.2 trillion searches annually.” These numbers are unbelievably huge and necessitate you using this search engine in your SEO work and beyond. However, in order to make the most of this search giant, you have to try and understand the algorithm (or, how things work behind the scenes). We don’t have to get into that right now, but we will talk about some things offered by Google that can help you to take advantage of what they have to offer. To begin: do you use Google Drive within your company? It’s an absolutely incredible resource, one that allows you to work more collaboratively than ever with team members and coworkers. You’ve probably heard of “Google Docs” before, but this is just one piece of what makes the Drive great. Since all of its programs are “in the cloud,” you don’t have to worry about losing any work or information as a result of technology failure, or anything else. In addition to Docs and Sheets (think Excel), you can store photos, host video or audio conference calls, and store up to 15GB of data for free. Are you looking to keep track of your competitors more easily? Try out Google Alerts! You can sign up to receive an email based on keywords as they are published within search results. You can follow along with how your competition is doing, but you can also use it to keep yourself out of hot water. We always talk about the importance of reputation management, and this is how you can know immediately if someone posts about you online. After that, you can address it and respond accordingly! Did you know that Google owns YouTube? They acquired it back in 2006, and it was clearly a wise investment on their part. YouTube is bigger than ever, having evolved from simple entertainment to the home of influencers and a new breed of celebrity. There are a billion and a half users on the site, and “96% of teens” are active there. Chances are, if you have a child, then they spend a lot of time on YouTube. So, what can this do for you? Make video content, or find a way to re-purpose your currently-existing content for video! Once you have this done, you can share and utilize it on your website, in email marketing, and so much more. If you’ve done any work with us here at Eyler Creative, then you’ve probably heard about Google Analytics. This tool allows you to see a ton of information about your site traffic and more after some very simple setup. We love Google Analytics because of its insights into demographics, operating systems and web browsers used, and the source of traffic, among other things. There’s no reason to not be using this tool regularly and to be using it to guide your marketing decisions going forward. 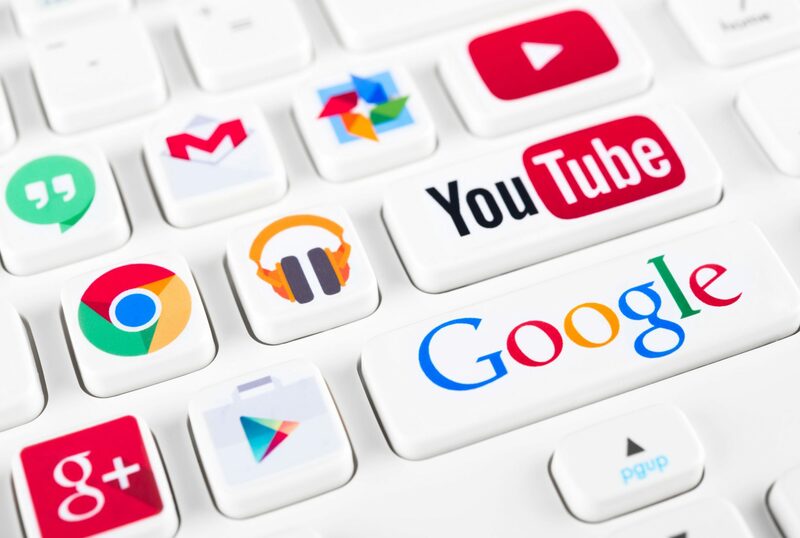 If you want to learn more about how to take advantage of the free tools that Google has to offer, then get in touch with Eyler Creative. We will work with you to make sure that your desktop site is mobile-friendly, to help you to design and develop a new website, and, if desired, develop and execute a marketing strategy tailored specifically to your business’s needs.